ViewSonic Corp today launched a “cost-effective home entertainment solution”, called 3D HD video converter box or VP3D1 3D Video Processor, which enables the viewing of Full HD 1080p 3D content, like 3D Blu-ray movies, PlayStation3 3D games, 3D TV broadcasts on consumer’s home theater 3D Ready DLP projector with an HDMI. 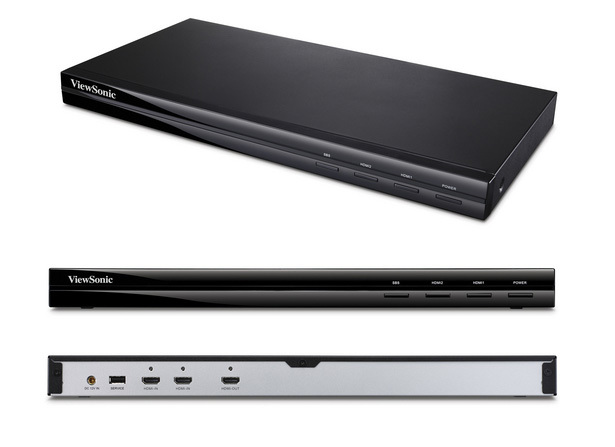 ViewSonic VP3D1 has a dual HDMI 1.4A inputs and v1.3 output interfaces, supports 2D/3D video formats and PC signal, so you only need to connect the converter box to your 3D-Ready DLP projector and 3D HD video source. The VP3D1 is now available for $299.